Fishing is one of those activities that never goes out of fashion. It appeals to all ages and all types of people, and there will always be a market for fishing holidays, especially in France (Fishing in France) where the weather, the scenery and the passion for the sport (Sport in France) is second to none. 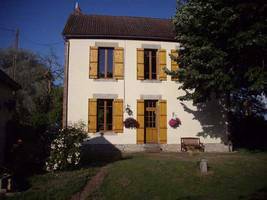 What better way, then, to indulge your passion for France and for fishing than to buy a carp fishing business that comes complete with a lovely house and an established income to get you going? France is a land of lakes, and carp lakes can be found all over the country. 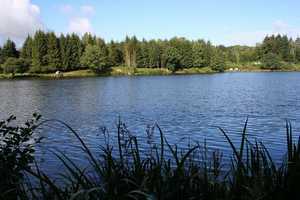 The Limousin (Limousin Property Guide) is always a rich hunting ground for fishing properties (French Properties with Lakes), as it is rightly known as the "Lakeland of France", but wherever you want to be, chances are you will find a superb carp lake! Below are some of the best carp fishing businesses to be offered for sale in 2018. Most of these properties come with not only a lake, stocked with carp and an established income already in place, but also with a main house and extra accommodation for holidaymakers. This stunningly located, well established gite business has just come onto the market and is an opportunity not to be missed, providing you with an idyllic place to live whilst earning an income. 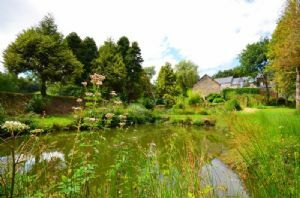 It is located just 1km (15mins walk) from the local village of Le Sourn with all amenities yet is just a short drive to the medieval town of Pontivy. Genuine succession sale, property must be sold and has been priced to sell. 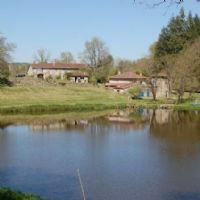 Situated in the heart of the Limousin is an opportunity to purchase a completely isolated hamlet, with carp fishing lake fully conforming and stocked with carp up to 26kg, 12 hectares of meadowland, 3 gites, cottage and large farmhouse, stables and 50m x36m sand school. Situated approximately 2.30 hours south of Paris in a particularly pretty region and close to important tourist sites this unique property offers numerous possibilities. The exceptional 50 acre site with its 16 acre lake, plus the quality and number of current installations make this property ideal for buyers who are looking to start a serious business in leisure and fishing. Please enquire for more information. Our ref- AI3661 Carp fishing business set on a magnificent 23 acre estate with a historic logis, gites, woodland and lakes With land of more than 9 hectares (23 acres) and a huge historic logis set above the largest of the two lakes, this property is an unusual find in a spectacular position. Up-and-running, well-established large carp fishery business (running for 12 years) with a very regular clientele (around 90% is repeat business). 11 hectares of forest & a 12-acre fishing lake with 1.25-acre stock pond. 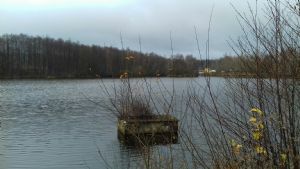 The main lake: 200 mirrors & common carp to 70lb. Depths 5 ft - 18 ft. Fisherman's Lodge comprising kitchen/dining/lounge area + bedroom or storage room. Attached shower room, wc, laundry facilities, garage & another storage room. 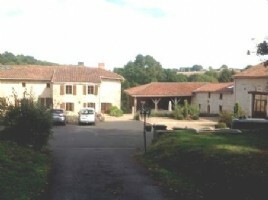 Spacious Bungalow/Gite. Leisure Lakes of the Languedoc - Perfect Property Location?